Oof! 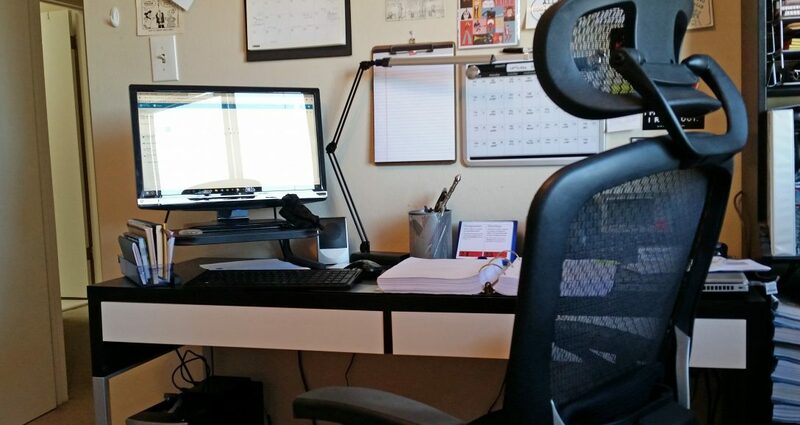 Between the end of Q4 sneaking up on me at the Day Job, and giving myself some insane writing deadlines over the next few months, I don’t have too much time to spare for any blog posts of quality. And I’d rather not post something half-assed here (I mean, aside from the occasional silly fly-by post like this one to let you know I’m still here and functioning) if I can help it. Sorry about that. One aspect of writing and publishing (self, professional or otherwise) that doesn’t always get talked about is the subject of editions. To tell the truth, it’s kind of a boring subject, not to mention it’s one that the writer and publisher doesn’t always want to talk about, for various reasons. With professional publishing, the idea of a second edition is sometimes seen as a distant hope; the publishing house only goes into multiple editions once it’s seen that the book is a big seller, and that the original run of however-many copies has been accounted for. This happens with much less frequency than one expects; this is also why writers are often super-paranoid about possible errors before it has its first print. With the self-published writer, especially for one like myself that’s just starting out, one might not want to tell one and all, “Hey, I have a new edition of my book/e-book available!”, for the reason that it could be read as “hey, I just uploaded the latest version of my book, which doesn’t have bad formatting and other embarrassing mistakes!” It’s better just upload the new version and just keep it on the QT, and hope no one noticed. But new editions of your self-published e-book don’t necessarily have to be a bad, embarrassing thing. Well — for the first edition of the physical book you should at least make sure that the formatting is tight and there’s no weird errors, but that’s another post entirely. [This is the main reasons A Division of Souls is still e-book only at this time. I’m about to start in with the Big Galley Fix starting today, so hopefully within the next few weeks it will finally be available at Amazon.] But future uploaded versions of your already-released book doesn’t always have to be a bad thing. Upon finishing her reading of the ADoS galley, my wife stated that I have to go on a strict diet of NO ELLIPSES. I will totally cop to using that punctuation WAY too much (that, em dashes, and italics), to the point that I’ve trained myself to cut them nearly 99% of the time in future editing projects. The Persistence of Memories doesn’t have nearly as many as ADoS did, but I’ve managed to quash nearly all of them. Most of them are hiding in dialogue, where I want the client to…well…you know…kind of avoid having to reveal something they need to reveal, but it can also slow down the flow considerably. I’ve learned to use when and where necessary, and only then. She also mentioned that, since it contains a large cast, some of which are mentioned early on but not mentioned again for some time. I’d been on the fence on this one, to tell the truth. Luckily, among all the notes and outtakes for the Mendaihu Universe is a solid dramatis personae that I can add before the main text. The next edition of ADoS will contain a few formatting errors I missed (such as the Case of the Curiously Vanishing Pilcrow), some minor edits, a dramatis personae, as well as the deletion of a number of said ellipses. The cover will remain the same for the e-book, but still want to toy around with the spine for the physical book, as I’m still not happy with it. Will this lessen the worth of the book? In terms of self-publishing: not entirely. The mistake made here is the belief that once you have the book out there, for good or ill, it’s out in publish and any mistakes will be points off your credibility. I made peace with that some time ago; I still find glaring formatting and editing errors in professionally published books, which just goes to prove we’re never dead-on perfect the first time out. While it’s great to want your best work out there, focus on the story and the execution mostly, and do your best with the editing and formatting. We readers will forgive you if your character’s name is spelled Rbfrit instead of Robert in exactly one place on page 276. It happens. So yes — don’t be afraid if you see a minor error in your self-published book. Go right ahead and make those fixes and reupload the file to whatever platform you’re using. It’s totally up to you if you want to make it publicly known that it’s a new edition, but don’t fear it. Use it to your advantage. One of my biggest worries when it comes to the Mendaihu Universe novels, to be honest, is that it would be taken as a ‘religious’ novel, or that it would be mistaken for a soapbox for my own ideas on spirituality. Granted, the novels have a heavy amount of spirituality, belief and faith involved in the world building, so it might happen yet. Thankfully my worries have been misplaced so far. The whole idea of using spirituality in the MU is not to preach or to proselytize, but to imagine a reality in which a belief system, its tenets, miracles, and everything else is not only real, but a natural part of society. Like the use of spiritual chakra energy as a source of power and strength in anime like Dragonball Z or Naruto, the enlightened people of the MU use their spirit energy for many useful things: innerspeak (clairaudience), physical sensing (clairsentience), reality seeing (claircognizance), and so on. More to the point, these abilities are part and parcel of Meraladian life — innerspeak is the ‘silent half’ of the Anjshé language, where the intent is projected psychically while the words are spoken, for instance. All these abilities are from ‘within’ — that is, their souls. It’s a part of their life organically as well as spiritually. That’s not to say that I’m ignoring zealotry and bigotry, of course. There are characters from ADoS forward who use cultural bigotry, even if their reasoning for it is an innocent (to them) ‘you wouldn’t understand’. The new as-yet-unnamed MU novel reveals a new generation of believers of the One of All Sacred who think of themselves as a special enlightened class personally chosen by their deity — something Denni Johnson would have been horrified to see. There are those who are committed to their version of their belief, regardless as to whether it conforms to reality. I will admit that the terrorism that we’ve witnessed in the past twenty years or so (including the past few days) has been a bit of an influence in this universe as well. The Mendaihu and Shenaihu both contain extremists in their ranks (the kiralla and the nuhm’ndah, respectively), and both have their physical embodiments of such extremism. But as with everything in this universe, nothing is ever black and white, good and evil, and the MU is no different. There are gray areas, where the best of intentions lead to bad conclusions, and vice versa. This is precisely why the Bridgetown Trilogy is not about good triumphing over evil, but about doing the right thing, despite overwhelming outside influence. And this is also why I chose to paint both sides as fallible. Both sides have had blood on their hands at some point in their histories. Neither is without sin. I’ll also admit I’ve been thinking about this since Friday, after the events that took place in Paris. Understandably I was shocked by the terrorism that unfolded, but I was also equally as shocked by the white noise that followed in social media — the blaming of an entire religion (or all religion, for that matter), the puerile political taunting, the ‘how can you feel bad when [x] is happening elsewhere’ shaming, and the reactive surface emotions of revenge and vilification. That white noise, thankfully, has receded somewhat over the weekend. As they say, cooler heads prevail. I also saw a beautiful outpouring of compassion and love coming from the same channels, and those are the voices that have remained as the others have begun to die away. And this, by far, was the hardest part of writing the Bridgetown Trilogy: trying to make the events of the novels a global spiritual and religious event, and not something that only the main characters are feeling. I felt that it needed much more than just the population reacting like they were in a Michael Bay film, running away from explosions in glorious slo-mo. I wanted a more realistic reaction: This is really happening. I’m angry/sad/terrified, but I’m not helpless. I will either stay and fight (accept the personal awakening) or take flight and protect those I love (refuse a personal awakening). 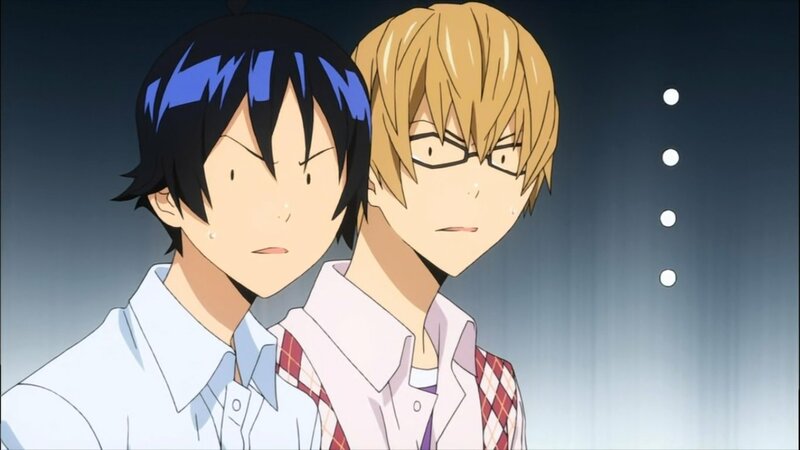 The trick was to passively show these nameless background people reacting, even if it was in just a sentence or two. The reader sees this three times in the first few chapters of ADoS: via clairaudience when Nehalé performs the Awakening ritual and senses everyone’s reaction; offscreen, with Nick and Sheila mentioning the number of witnesses they’ve spoken with just after the ritual; and onscreen, when Poe passes a car on the highway on the way to the Crest and notices how eager its occupants are to get out of town. I pepper these throughout the three books; just a mention or two to remind the reader that the rest of the world is out there, and they’ve been affected as well. As a writer of fiction, I’m not going to claim my way is the best way to see reality, nor am I trying to push a message. I’m merely telling a story and unfolding it the best and truest way I know how. I can only hope that what the reader gets out of it is entertainment, and maybe something to think about as well. So! It’s been two months and change since I released A Division of Souls, and it’s been quite an interesting road so far. The movement of ADoS has been fascinating. I’ll be adjusting the price again pretty soon, and looking for more avenues in which to advertise or share it. We shall see. On the plus side, my decision to make it available at NoiseTrade Books has come up trumps! It’s leveled off a bit, but I’m still getting maybe one or two downloads daily. Go me! Meanwhile, I’m about a third of the way through this final edit and it’s taking a little bit longer than expected, but I’m getting there. Most of the fixes have been in deleting a lot of extraneous words and revising a few others. No major issues…yet! (knock wood) I’m still aiming for early 2016 for the release of this one. I shall of course keep you all updated! So! In the meantime, I’ve decided to let you take a peek at the first chapter of The Persistence of Memories while you wait, hiding just below the jump. It takes place just a few days after the finale of ADoS. I hope you like it! 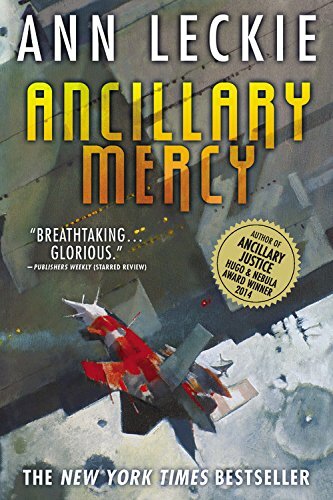 Ann Leckie’s Ancillary Mercy, book 3 in the Imperial Radch series. A. and I were talking about Ann Leckie’s Ancillary Mercy last night (she’d read it the day it came out, I’m about three-quarters finished), specifically about how we really enjoyed the many and varying characters in the series. One thing that came up was that we were both fascinated by a specific twenty-year gap in the lead character’s history that happens early on in the first book (Ancillary Justice). What happened between the fade-out and the fade-in? Where did she acquire the certain things she now owned? Do we ever find out? Is it important to the main story arc, or is it simply a passage of time between important moments? I’ll tell you a writer’s secret: us authors love doing that. 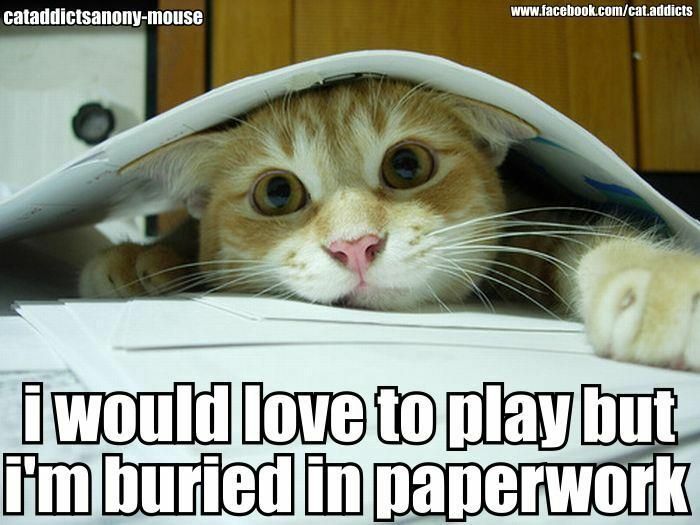 There are many and varied reasons for it. Sometimes a rose is just a rose: the character lived their life doing things that had no important bearing on the story. Maybe they just needed to lie low for a while. Sometimes it’s a big secret: it’s a specific gap of time that the narrative will return to much later on, when it’s important to the story. Sometimes we never find out exactly why. Me? I love doing it because it’s part of my world building process. For me, it gives the character space to breathe in their own privacy for a bit. In A Division of Souls, there’s a space of five years between the time Caren and Denni’s parents are killed in action and the present time of the book itself. I did this for two reasons: for the two sisters to come to terms with what happened, and to show that the current events actually started manifesting themselves a lot earlier than anyone thought. I call these gaps hidden stories. The main arc doesn’t focus on these events, doesn’t need to. But just the same, they’re part of the framework of the whole. There’s usually a solid reason for this time gap (such as in Ancillary Justice, where Breq is basically keeping off someone’s radar), and it can be extremely useful and malleable. This is where the writer can say “this is what happened between [Novel X] and [Novel Y].” Another good example of that is the previous Naruto movie The Last, which takes place between the time gap between the final chapters of the series, 699 and 700. We find that there’s a gap of time that we can use as a bit of a playground for new and/or related stories if we so choose to write them. Which, of course, means that the seventy years between The Balance of Light and the new (and still untitled) Mendaihu Universe story is chock full of mystery! A lot could happen in an average human life span. I’ve given myself quite a bit of space for hidden stories in that stretch of time.